Clover Moore a muesli eater? Former Prime Minister Paul K eating has resigned as Chairman of the Barangaroo Design Excellence Review Panel after a letter from NSW Planning Minister Brad Hazzard told him to stop calling Clover Moore a “muesli chewer”. Mr Keating said he would resign, as he refused to be muzzled. Today, Mr Keating said Ms Moore’s opposition to the Barangaroo development jeopardised her capacity as mayor. “She’s an inappropriate person to be lord mayor of this city,” Mr Keating told journalists in Sydney. 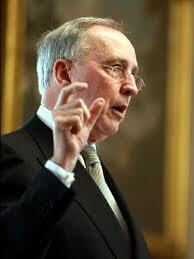 Sometimes I think Paul Keating’s judgement is spot on. This entry was posted on May 6, 2011 at 16:07 and is filed under Uncategorized. You can follow any responses to this entry through the RSS 2.0 feed. Both comments and pings are currently closed.